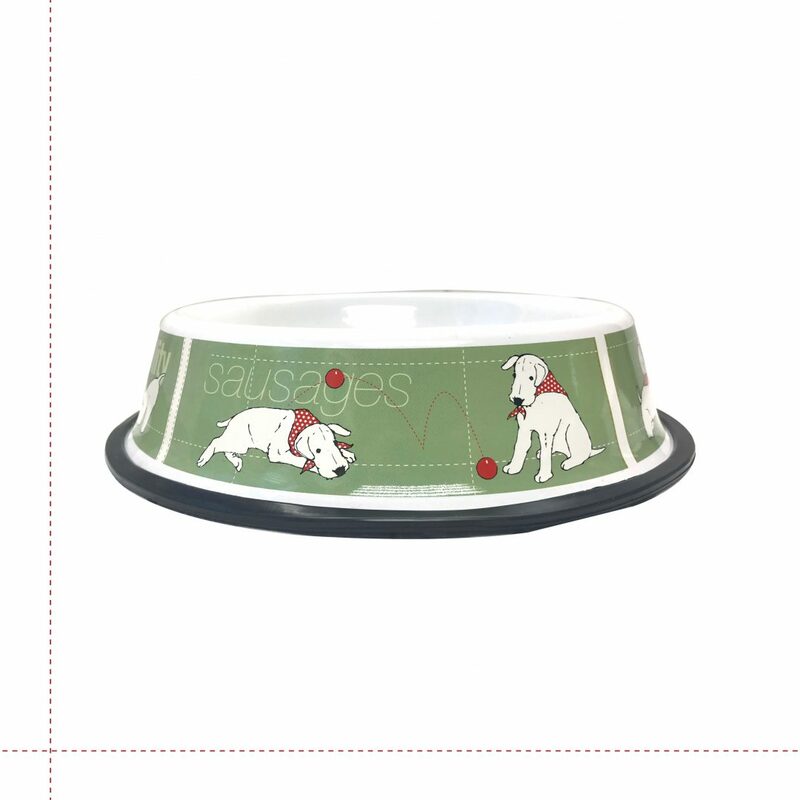 Home | The Collections | Douglas The Boy Wonder | Douglas The Boy Wonder – Dog Bowl. 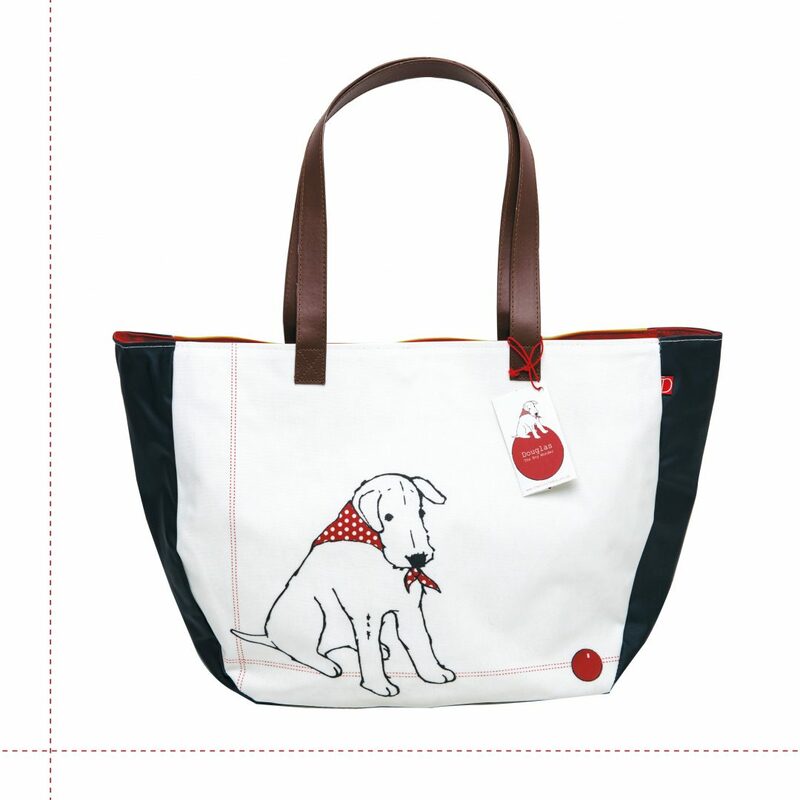 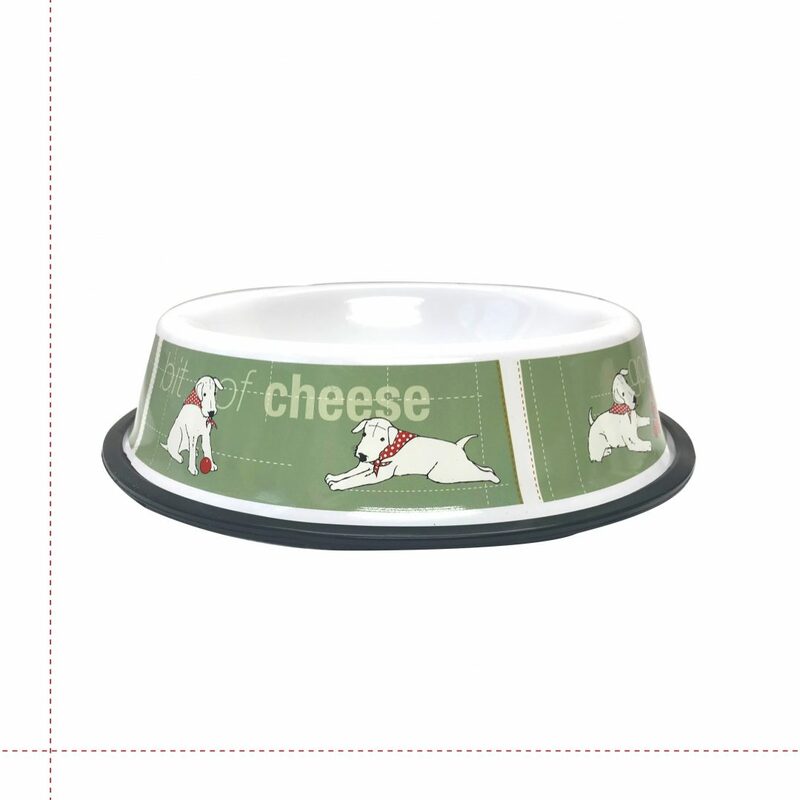 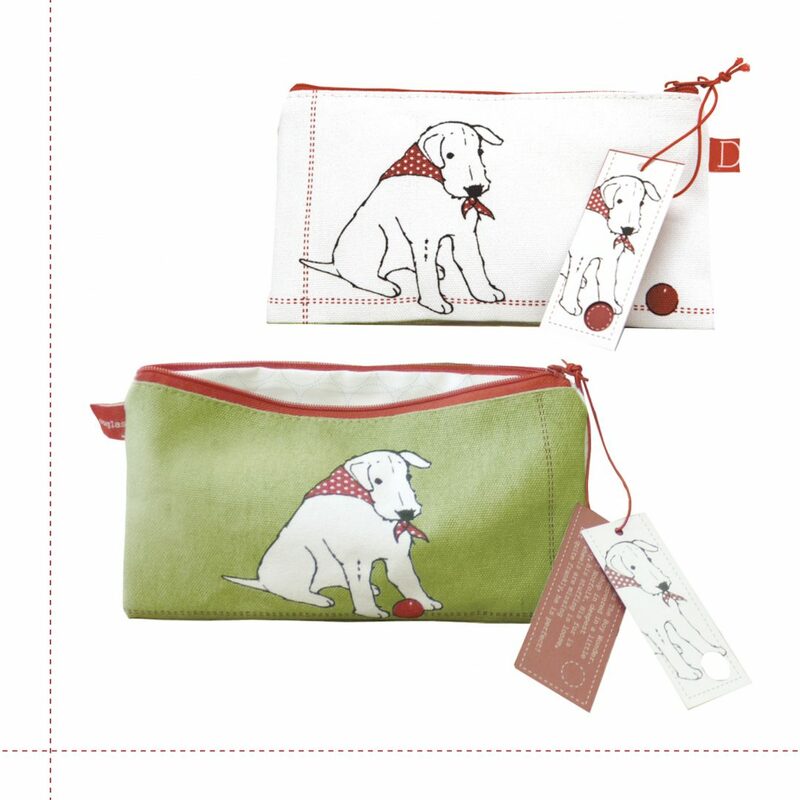 This designer, typographic print Douglas Dog Bowl is contemporary and fun. 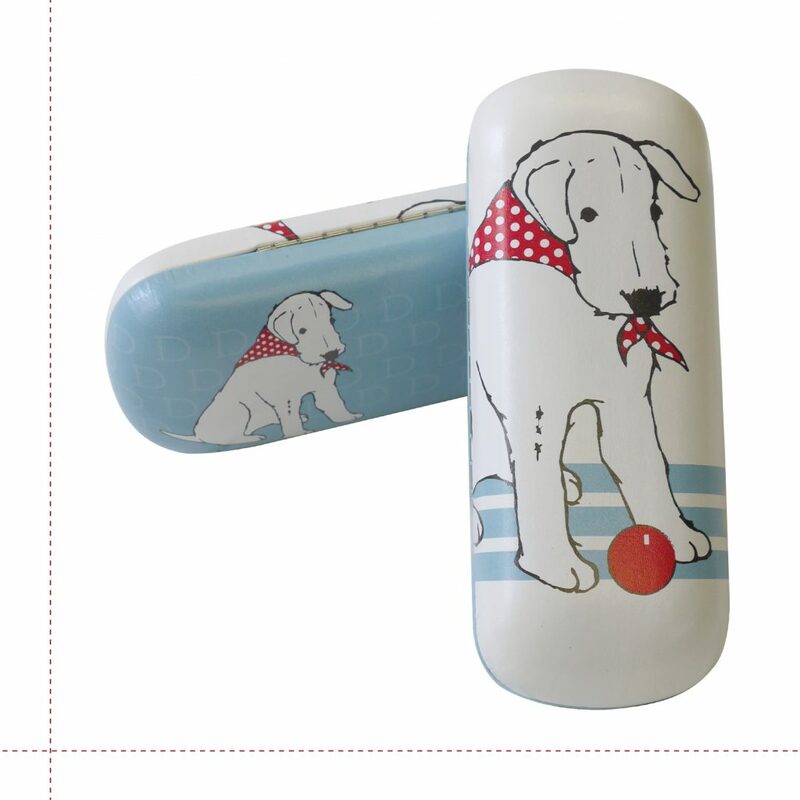 Made from a thick quality tin, it is resilient to the messiest of eaters and the sloppiest of drinkers! 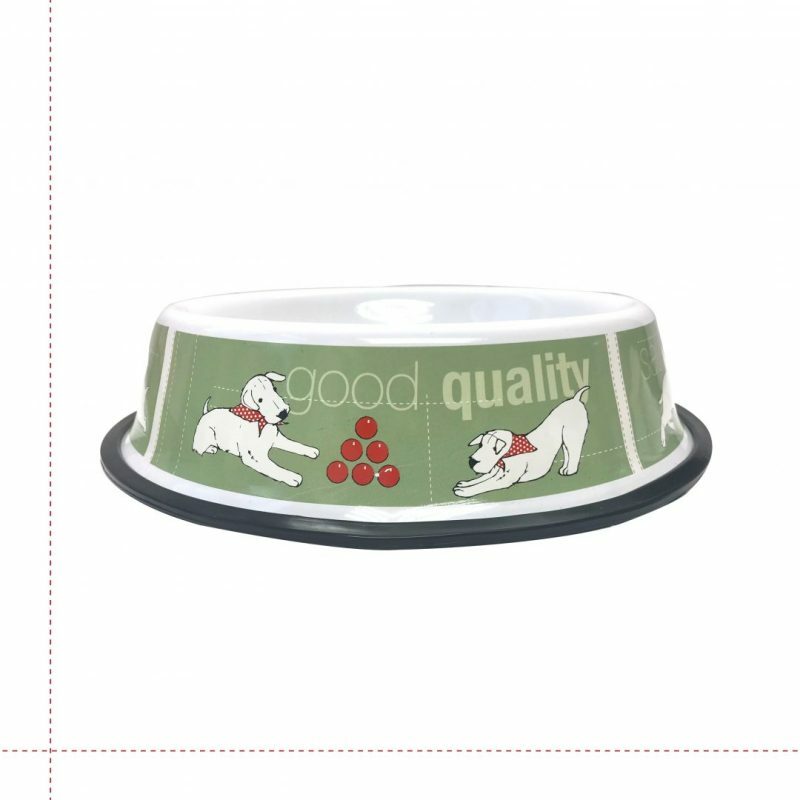 The Douglas dog bowl also has a silicon ring on the bottom to guard against slippage when extreme hunger takes over. 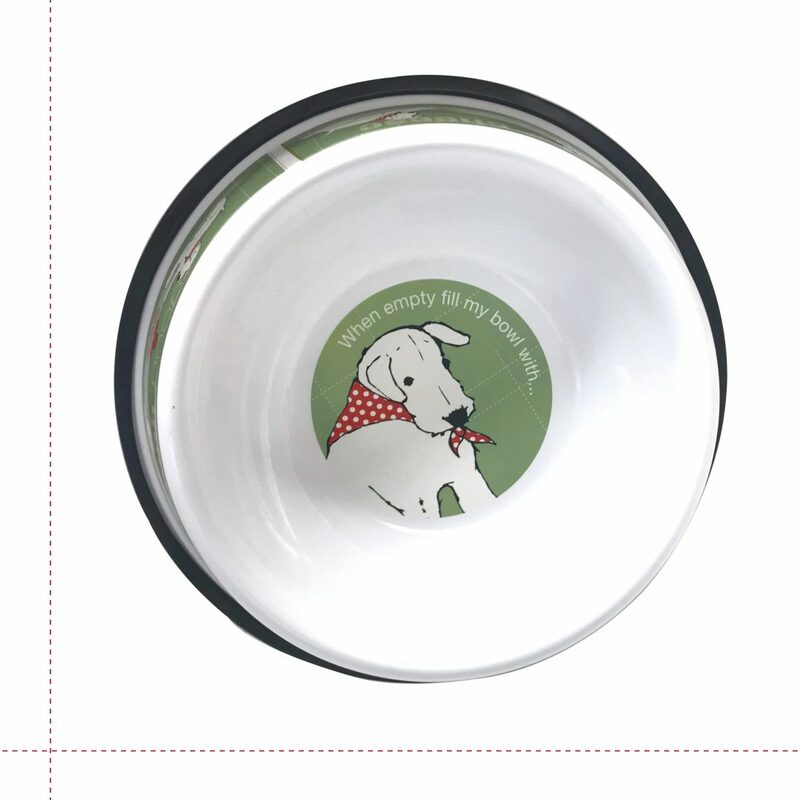 99% of the end users will be oblivious to the aesthetic qualities of this bowl but those who wash and fill it daily will hopefully enjoy this splash of design loveliness. 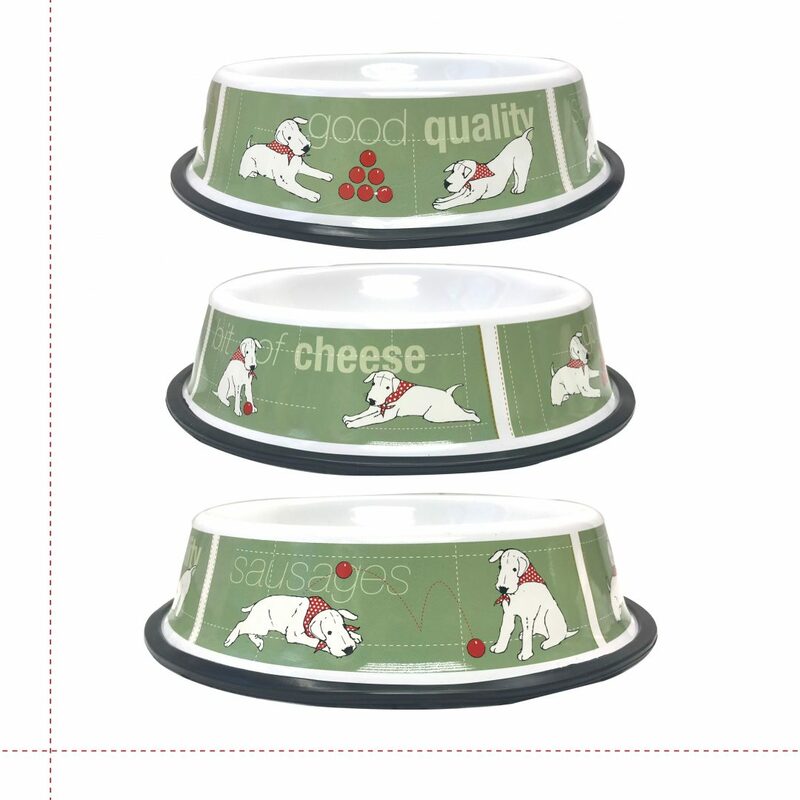 Dishwasher friendly although like all products with a print we advise top shelf only.